Can you guess that’s why they call it the blues? I don’t usually have difficulty writing about colour and I have to admit I’m finding it hard to get going on the subject of blue. I can only surmise it’s just far too relaxing and it’s making me feel dreamy just thinking about it. Blue’s vibration has many benefits. * To cool and calm which is useful for children with behavioural challenges. * For use with fevers as blue can even bring temperatures down. What a relief. * It helps to combat fear and will aid a child to speak out and express inner feelings. Rudolf Steiner (1861-1925) developed colour schemes for school rooms – he used blue for the school’s stage, presumeably to help with stage fright, and to promote communications. Remember that children are more sensitive to colour and the younger the child the softer and lighter the tints should be. Time and again and across different cultures and ages and other factors, blue actually rates as most people’s favourite colour! We are uplifted by the sight of blue skies, the sea, we talk about ‘blue sky thinking’ to indicate the most open of mindsets and a creative outlook. So, how did this popular, peaceful colour come to be associated with depression and sadness? We probably owe much of this association to blues music, the origins of which are lost in the mists of time along with the reason for the choice of name. Emerging as it did from the music of African-American slaves in the Mississippi basin and having origins in African musical forms, many early blues songs had melancholic themes reflecting great suffering and loss. The term has come to describe such a wide variety of different styles and sub-genres nowadays, but singing the blues and feeling the blues are naturally closely intertwined. 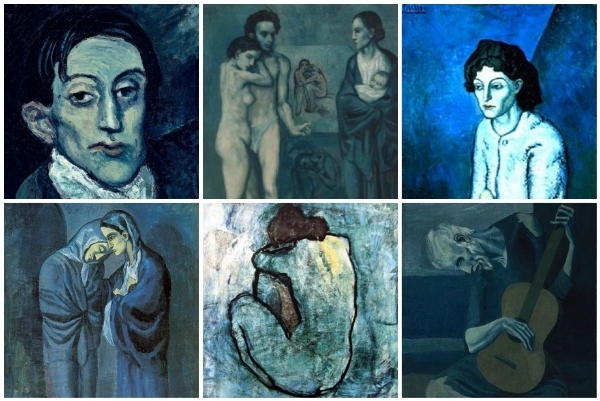 There are connections in art too of course – Picasso’s ‘Blue Period’ for example, These works are characterised by dramatic use of in shades of cold blue and grey, which the artist used to express his sadness and grief. 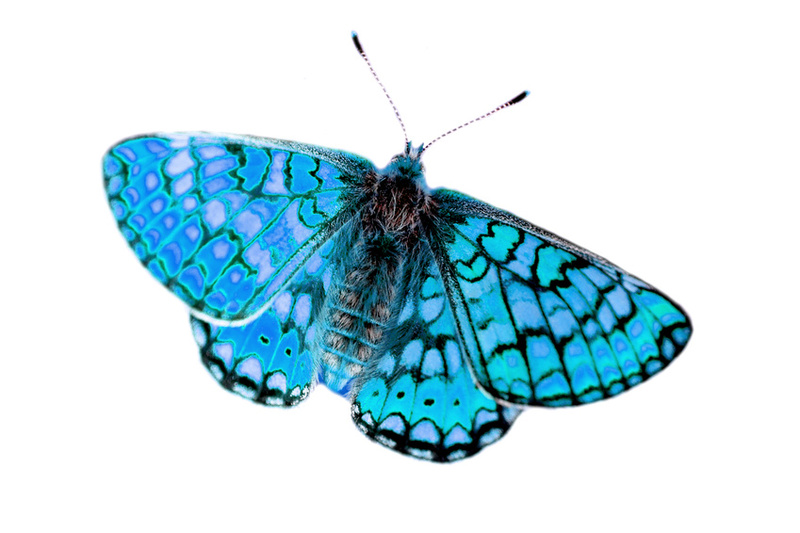 In general health terms, – a blue tinge to skin for example, as opposed to healthy rosy pink is rarely a good sign. We talk about bruising leaving us ‘black and blue’, even though bruises can run through a whole spectrum of colours as they heal . It is interesting to note astrologically that we are now in the age of aquarius depicting blue, an era of truth and honesty. The strong cobalt blue is a very fashionable and popular colour to wear this spring but most blues are on the cold side of the spectrum of course. There are some shades that can be successfully worn by those with warm skin tones, such as highly vibrant deeper blues, sapphire blues, and those with a tinge of green like – turquoise sea blues, aqua and teal. Being kinder to most skin tones than black, navy blue is a good neutral colour to use as a base and conveys dependability and trustworthiness, often seen in uniforms. Orange is blue’s complementary colour which can provide the energy boost and feeling of joyfulness that blue is lacking. You can team up blues with a wide variety of warm or cool colours. Just like too much red can be over-stimulating and bring out aggression, blue is the polar opposite and can be tiresome and lethargic if used to the extreme. Whilst appreciating all that the music has brought us, perhaps its time for us to reclaim blue as the beautiful and adaptable colour that it can be – and embrace all it expresses for us in our inner worlds of light and shade? Do you love the blues, or the colour blue?